For my Girl Nina: Collard! Observing fashion trends out there, I notice that Peter Pan collars are pretty sought after? I may be wrong... or I may be a season too late, but I still think a collar, is worth having whether we are in 1912 or 2012. 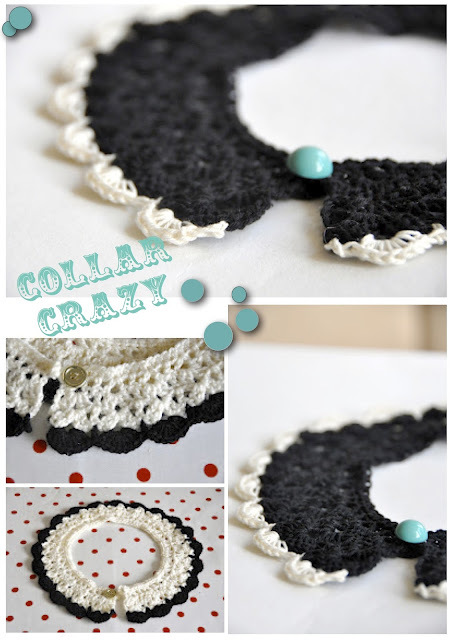 So, I found this lovely pattern for a crochet collar here, which led me to here. And literally went Crochet Collar MAD!!! So easy and quick to make, that I have already made two and am well on my way to making a third. I may actually end up sewing them on cheap plain t-shirts, to spruce them up a bit. 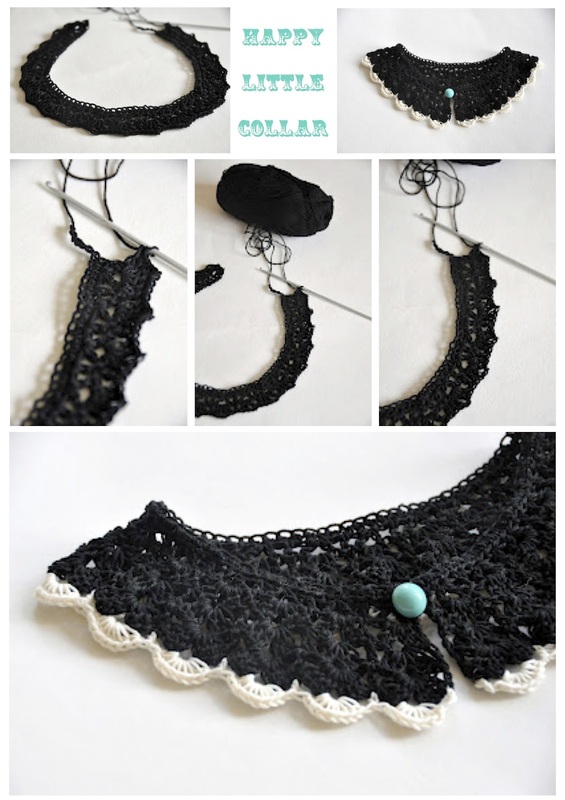 You can find the downloadable pattern on the wonderful Lulu Loves Blog. But if you are quite proficient in the crochetting department, you could create what ever circular pattern you desire. I've obviously stuck to the more traditional black and white theme, as I have this thinner, more delicate cotton in the two colours, but I am sure it would look amazing in a variation of extravagantly bold colours. With a vintage, decorative button.